For the sake of your business, your brain and your anxiety level, you should frequently answer these “why” questions as well as encourage your team members and colleagues to ask you. What’s so magical about these “why” questions? “Why” questions help you and others pay attention to three important things. 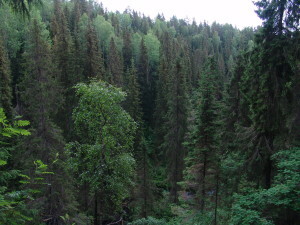 The forest. When you Start with Why as the best-selling author and TED Talk contributor Simon Sinek advises, you’re focusing on the big picture, the vision from 50,000 feet or higher. At that level, the picture is fairly abstract, which appeals to the motivational system of our brain. When leaders talk about “the why”—which is an idealistic purpose, not just about making money—we’re more likely to pay attention and become inspired to see their vision. Sinek isn’t the only one who focuses on “why.” Best-selling author Patrick Lencioni advocates identifying your purpose (“Why do we exist?” is his question) in The Advantage. In Built to Last, Jim Collins and Jerry Porras write about defining the organization’s core purpose. The trees. When you explain why you’re taking particular actions, you’re providing rationale, which also helps the brain put the information into context and close the gaps. The “why” is the bridge between the abstract vision and the concrete actions that people will soon need to take. Here, the “why” helps individuals be more open to considering new ideas, concepts and plans as well as taking advice. Research is now showing that individuals who learn the “why” as part of organizational change efforts are more open to the change and less anxious, as I learned at the 2015 Neuroleadership Summit earlier in November. The individual. When individuals start to process the “why” vision with the “why” rationale, they can make stronger connections related to their self-interest. If they’re able to link the organization’s purpose with their individual beliefs and value systems, this alignment will help embolden them and spur them to action. Individuals can then start to activate their brain’s “how” system—the executional—which will help them actually get stuff done. Sharing the “why” is an effective way to grab individual’s attention and inspire them. Be aware though that “why” is not a panacea for all things motivational, especially when you are dealing with human behavior. Not all “why” questions are created equally. For example, asking someone “Why did you do that?” may frustrate both of you. The question can make the person defensive, and not elicit good data. That’s because it’s often difficult for us to articulate why we did something. And continuing to reinforce the “why” when someone is ready to talk about the “how” can be incredibly irritating, especially for anyone whose brain gravitates to the executional system over the motivational. However, “Why?” is also an extremely appropriate question to ask if you’re trying to get to the root cause of a problem—once you’ve carefully defined it, as those who are familiar with lean are well aware. In this problem-solving situation, you’re working to understand the situation and figure out what to do, rather than jump to conclusions and blame someone for a mistake. Check out Mark Graban’s persuasive post, Maybe We Should Call it “The Many Whys” Instead of “The Five Whys” in #Lean & #LeanStartup. W-H-Y—three little letters that form a word with giant impact. Are you asking and answering “Why?” enough?